Add a splash of vibrant color and cushy comfort to your indoor furnishings with this 10-inch queen-size futon. 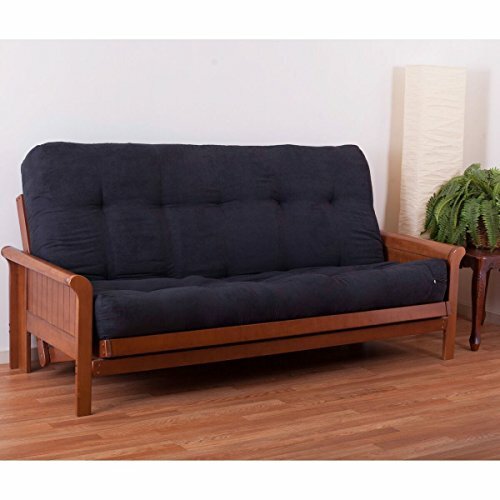 This futon features a four-layer foam core/cotton batting mattress design for maximum support and comfort and is available in a wide variety of colors of premium twill fabric. Available colors: Aqua blue, berry, black, burgundy, chocolate, emerald, forest green, grape, hot pink, indigo, mojito lime, natural, navy, red, royal blue, ruby red, sage, spice, steel grey, sunset, tangerine dream, toffee. 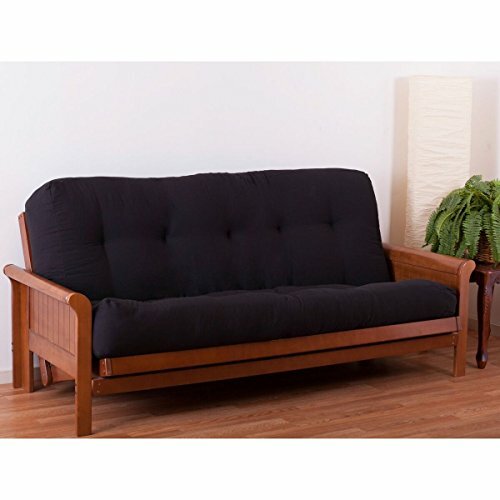 All orders are manufactured by FUTON FACTORY. Our products are made to order. The tufting in on mattresses only to secure fabric to the mattress. Tufting is not on covers. Nobody Undersells The Factory! Materials: Premium cotton/poly blend- 65% cotton 35% polyester; 3 Sided Zipper; Full -75 inches wide x 54 inches deep; Queen - 80 inches wide x 60 inches deep; All Colors Always Available; Frame and Mattress sold separately. Add a splash of vibrant color & cushy comfort to your indoor furnishings with this 10-Inch queen-size futon. 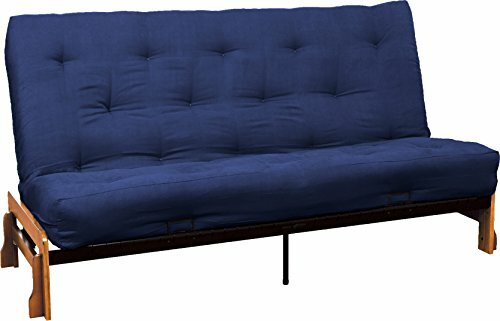 This futon features a four-layer foam core/cotton batting mattress design for maximum support & comfort & is available in a wide variety of colors of premium microsuede fabric. Available colors: aqua blue, berry, black, camel, cardinal red, chocolate, emerald, hunter green, indigo, java, lemon, mojito lime, red wine, saddle brown, sage green, spice, steel grey, tangerine dream. Wolf Corporation is the oldest Serta licensee, proud to say we are the sole manufacturer of Serta Futon Mattresses! Serta Futon Mattresses feature Cottonique. Cottonique combines selected grades of cotton with polyester fibers for a unique, durable upholstery blend that outperforms and outlasts traditional cotton batting. As a result Serta futons are more resilient, more comfortable and yet surprisingly light. 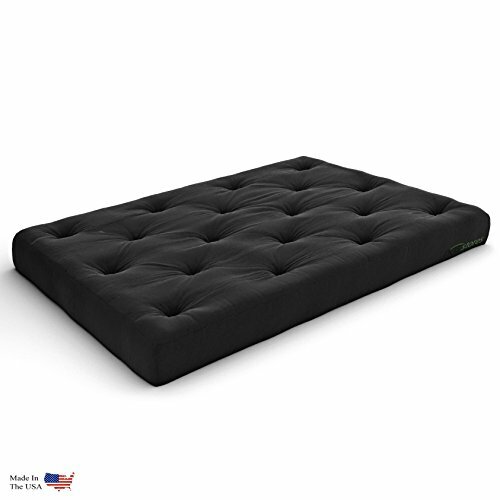 The Cypress futon mattress contains a 4" spring unit and so there will be more of a bounce to this mattress. 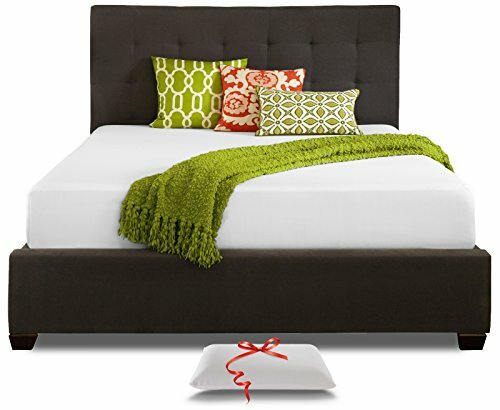 The spring unit is surrounded by 2, 1" foam pieces that provide supple, body conforming comfort. The Serta Cypress is a 8" mattress built for years of comfort. 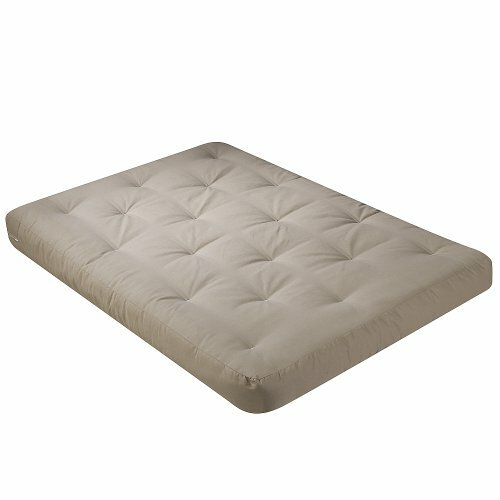 It is constructed with 3 layers of heavy weight cotton fiber blend that surround the foam and innerspring unit. Machine lace tufts and true box casing construction complete the Cypress. 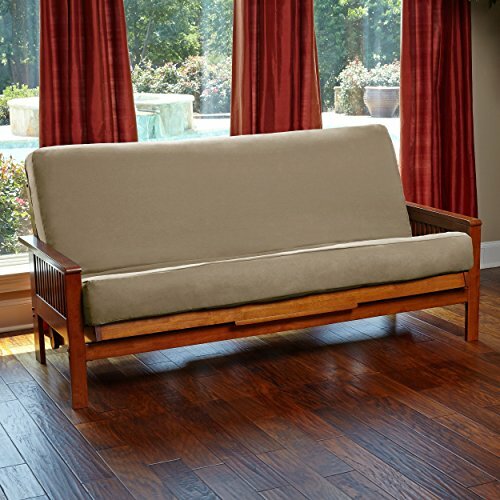 This Cypress futon mattress is covered in a khaki duck fabric and is queen size, 60" x 80". All Serta Futon mattresses are compressed, rolled and boxed which makes for ease in shipping and installation. Add a splash of vibrant color and cushy comfort to your indoor furnishings with this 10-inch queen-size futon. 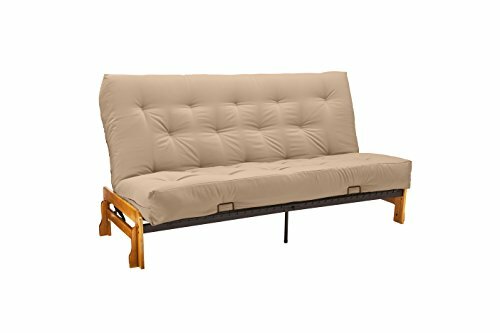 This futon features a four-layer foam core/cotton batting mattress design for maximum support and comfort and is available in a wide variety of colors of premium microsuede fabric. Available colors: Aqua blue, berry, black, camel, cardinal red, chocolate, emerald, hunter green, indigo, java, lemon, mojito lime, red wine, saddle brown, sage green, spice, steel grey, tangerine dream. 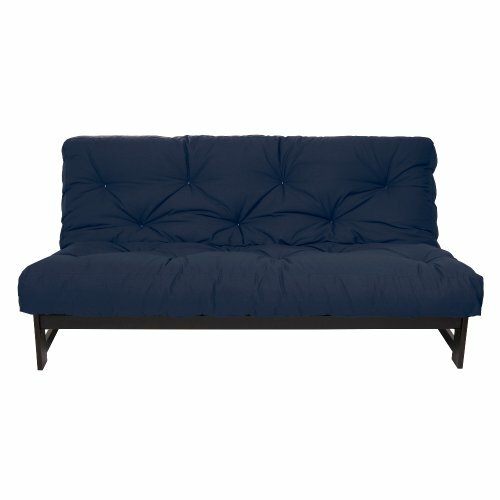 Compare prices on Queen Futon Mattress 10 Inch at ShoppinGent.com – use promo codes and coupons for best offers and deals. Start smart buying with ShoppinGent.com right now and choose your golden price on every purchase.